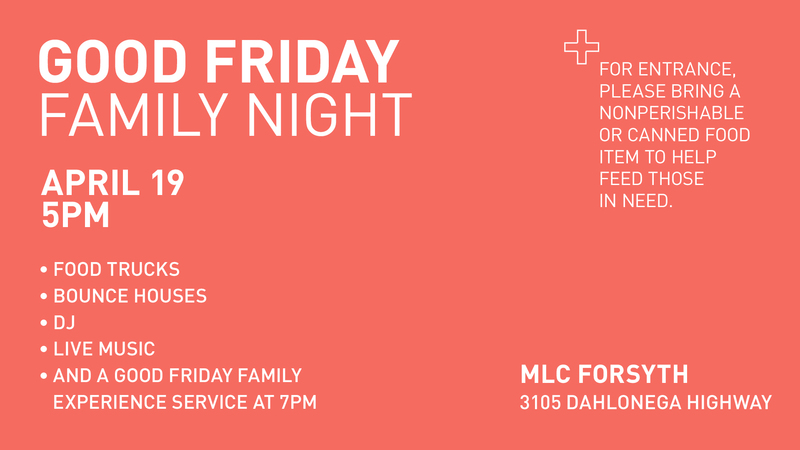 On Good Friday at MLC Forsyth, everyone is invited to the Good Friday Family Night Experience starting at 5pm. There will be bounce houses, live music, food trucks, a DJ, face painting, and a Good Friday Family Experience Service at 7pm. Plus, to help feed the hungry in our community, we are asking everyone to bring a can of food for entrance to this Good Friday event. 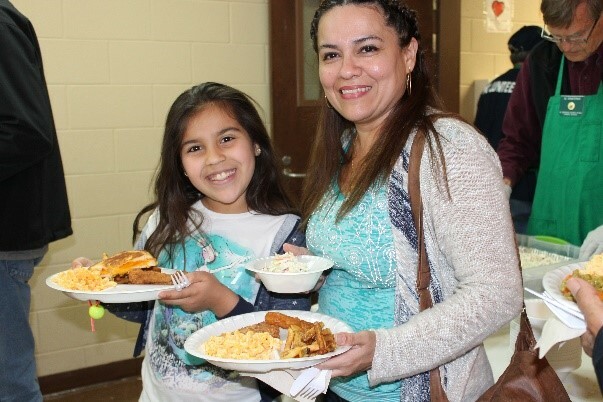 For more information, head over to this new article – Celebrate Easter at Mountian Lake Church.